The museum was designed by Ch. Bouras and built in the early 1960's by the Archaeological Society of Athens. Pottery, dating from the Mycenaean to the late Hellenistic/Roman period. 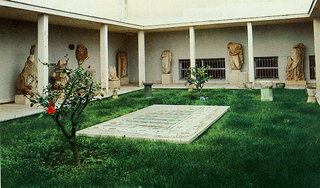 Sculpture, ranging from the Archaic to the Roman period.